Jaime Stover Schmitt, Ed.D., C.M.A. 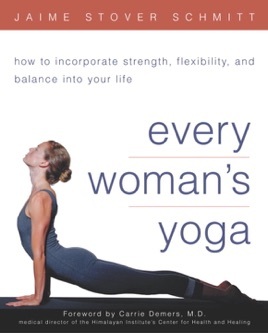 Yoga truly is for every woman. Its therapeutic and healing powers are vast— its benefits range from strengthening and toning to stress and pain relief, from childbirth preparation to easing through the menopause transition. Every Woman's Yoga focuses on specific yoga practices that are most suitable for women. Whether you are already into yoga, or just getting started, this informative guide will help you nurture your mind, body, and soul.